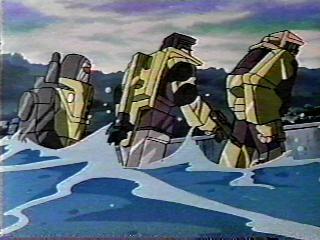 The Constructicons and Predaking leave the short battle they lost to Broadside. 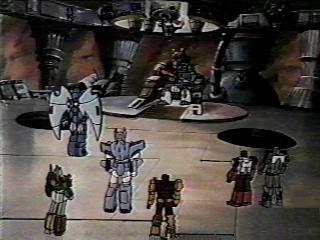 A few of the Decepticons are gathered to watch Galvatron attempt to use the power of the Matrix in his arm cannon. Scourge gained super powers when he installed the Matrix inside of him. 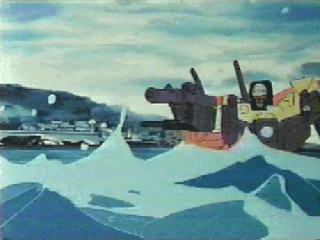 Predaking, the Constructicons, and a few other Decepticons observe Galvatron who was sent flying by Scourge’s powerful eye blasts. 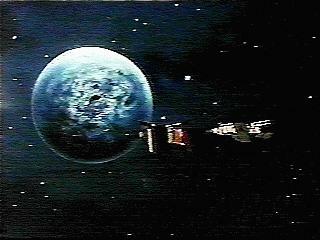 They then follow his lead to attack Earth.